We are delighted to announce an exclusive online offer allowing you to spread the cost of your order with Interest Free Credit, when you spend over £399.99. With 0% APR finance and a maximum of 20% deposit, you will be closer to affording the bed of your dreams. We have partnered with Close Brothers Retail Finance, allowing you flexibility and control in spreading the cost of your order over 6 months or 12 months depending on order value. The Dormeo Payment Plan is an easy choice and gives you peace of mind to sleep easy at night, with affordable monthly repayments. Why choose Dormeo payment plan? The Dormeo Payment Plan is an easy choice in getting your best night’s sleep ever with affordable monthly repayments. We have partnered with Close Brothers Retail Finance, allowing you flexibility and control in spreading the cost of your order over 6 months or 12 months, with a 0% interest. 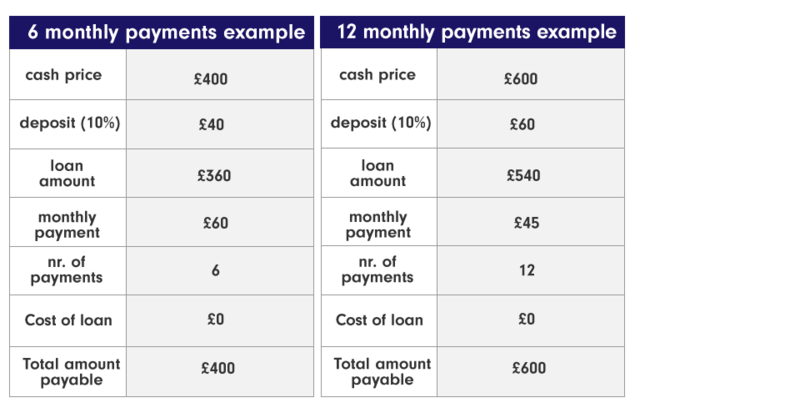 What are the cost of Dormeo payment plan? 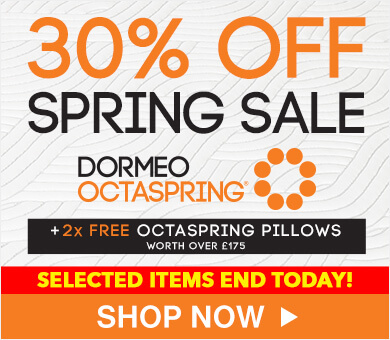 Dormeo offers an interest free credit with 0% APR representative, which means that you will pay only the purchase price of your mattress. You can select a 10% or 20% deposit when you place the order and the rest of the amount will be spread across 6 or 12 months period depending on your order spend. Dormeo payment plan offers 6 or 12 monthly payment options with 10% or 20% deposit. You can choose 6 months option if you spend over £399.99 and a 6 or 12 monthly payment option when you spend over £599.99. How to apply for the Dormeo Payment plan? Place desired items in the basket in the value over £399.99 and proceed to checkout. Once you have filled in shipping details, you will be given option to apply for finance. Select number of monthly payments and deposit value then place the order. Once you have placed the order you will be redirected to the Close Brothers application page, where you will need to fill in an online form (takes less than 4 minutes to complete). Your credit request will be processed immediately and if accepted, your order will be passed on to Dormeo for despatch. Your deposit will then be taken from your debit or credit card. Dormeo act as credit intermediaries and offer credit products provided the finance company, Close Brothers Retail Finance. The finance company will conduct the necessary credit checks and references in order to confirm your eligibility for the credit application. Monthly repayments will be taken via direct debit from your bank account. The finance company will inform you of the date that your repayments will commence. Your credit agreement starts on delivery of your products, the first payment is typically due 30 days following the date of delivery of your order. You must be over 18 years old and a permanent UK resident with 3 years address history. You must have a UK bank account capable of accepting direct debits. The goods must be delivered to your home address and the deposit must be paid using a credit or debit card. What happens if I return the mattress within the 60 night comfort guarantee? If you decide to return your product and are paying by installments, we will cancel any future payments and refund any monies already received (including your initial deposit). Consumer credit service is provided by Close Brothers Limited - a subsidiary of Close Brothers Group plc. Close Brothers Limited is authorised by the Prudential Regulation Authority and regulated by the Financial Conduct Authority and Prudential Regulation Authority. Firm reference number 124750. 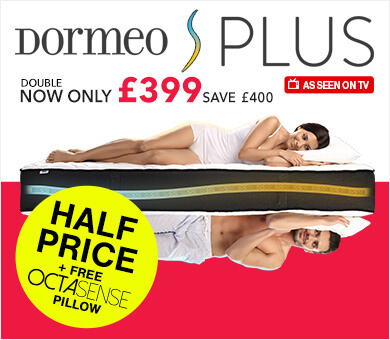 You can call our sleep experts now on 0800 625 0134 to take advantage of our flexible 3 monthly payment option to help you spread the cost of your new Dormeo mattress. 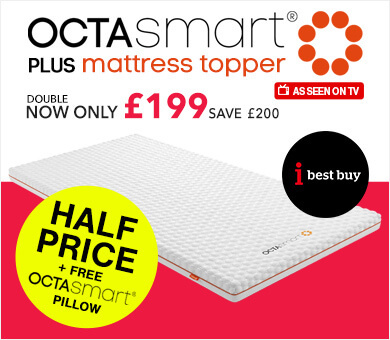 Alternatively you can spread the cost of an Octaspring mattress over the phone over 4 months, so the choice is yours. Your mattress will be delivered in around 14 to 28 days working days as usual, you still get free delivery and a 60 night comfort guarantee, but you won’t have to pay for it all in one go! Sleep now, pay the balance later! Dormeo UK Limited is Authorised and Regulated by the Financial Conduct Authority as a Consumer Credit Firm under firm number 627302.